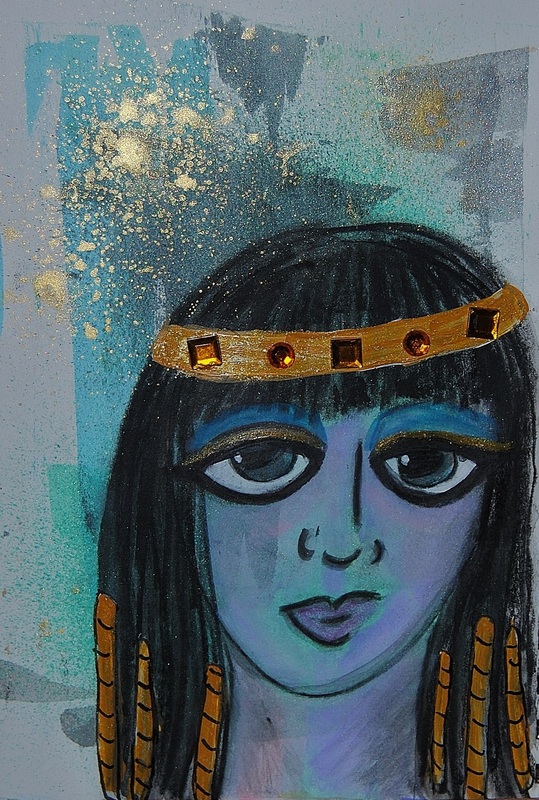 Cleopatra (mixed media painting)– Students can use as inspiration for creative writing and art projects. Eternity (short story)– An archaeologist translating a 3,500 year old Egyptian poem finds he has more in common than he thought with the ancient scribe. The Musical Sensations-Female (painting)– Coloring activity using hues from ancient cultures.